A big thanks goes out to Webley3, who typed up the bios for us both for these six pages as well as the Hidden Realm character pages we got up yesterday! Funkiki Island Adventure Pack is Back! Hurry! The Funkiki Island Adventure Pack exclusive from Target is back up for sale right now so Hurry Up! U.B.Funkeys Funkiki Island Adventure Pack is Here! Sorry, I know I'm a little late posting this. 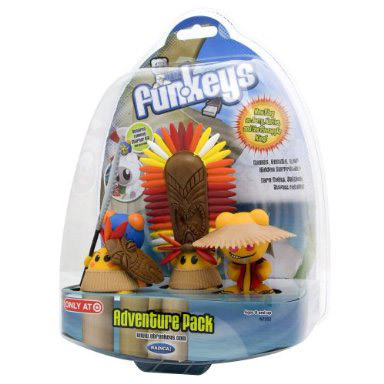 The Target Exclusive Funkeys Adventure Pack was first found to be available for purchase on the Target site on the evening of Oct 2nd. It's been available on and off since then as they are likely working through their inventory. The site at this point says that this will be an online exclusive and not available in stores. For those of you who do not yet know, the Funkiki Island Adventure Pack (with exclusive figures Jerry Pearl, a Funkiki Native, and the Pineapple King) is one of two that Mattel has announced. The other (a Kmart exclusive) will be based in Funkeystown and include Master Lox, Mayor Sayso, and Henchmen. There is no date associated to that pack yet. As first announce by our forum member JustinSprocket, the 3.2 update, called the Exclusive Characters Update, started to hit last night. My computer did not find the update yesterday or today even though it looked for one, but I was just updated by Funk-E that there was a glitch last night and they had to temporarily reverse the update. Mattel hopes to have it ready again either today or Monday. From the discussion in the forum, there is a new update to the Funkiki Island zone which is assumed to be for the Target exclusive Funkiki Island Adventure Packs that are supposed to be hitting the shelves soon. There's more details on that exclusive (with Jerry Pearl, a Funkiki Native, and the Pineapple King) here and more here if you missed that announcement. 1) We'll be able to recover all player data if anything happens (computer crash?) and we need to re-install everything! 2) We'll be able to play our accounts from different computers! 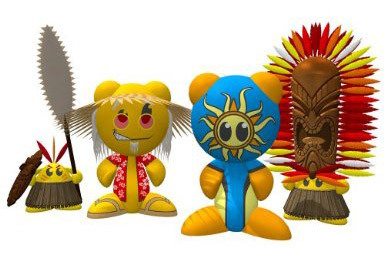 We showed you pictures a few days ago of the coming Target Exclusive "Adventure Pack" containing figures of Jerry Pearl, the Pineapple King, a Funkiki Island Native and Sol. Funk-E, our Mattel insider, was kind enough to fill us in a few more details. There will be two Adventure Packs to begin with, the Funkiki Island one we've already seen as well as one for Funkeystown. The Funkeystown Adventure Pack will contain Mayor Sayso, Master Lox, and an undisclosed number of Henchmen. My guess is 2 though I'd love to see all 4 colors; blue, green, red, and purple. What Funk-E also confirmed was that all the figures are indeed playable being clear that they would have "different abilities then normal Funkeys though". I'm pretty excited to see what changes are to come from these Adventure Packs. We'll obviously have to see another decent sized game update before these hit the stores, so that's likely the next thing to be watching for. In the meantime, we have Dream State Wave 2 staring to land so get out there and find them! Woohoo!!! 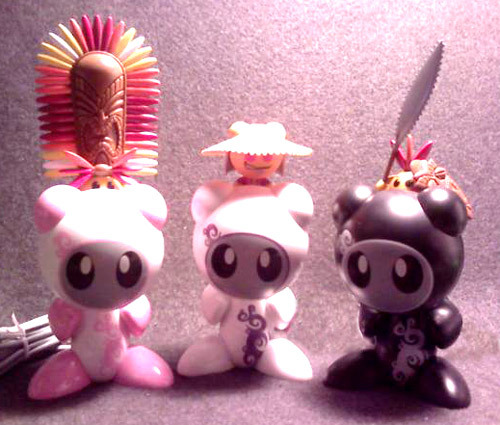 The rumored Funkiki Island figures are finally a reality. Reports started flowing in this morning of the Funkiki Adventure Pack listed at Target.com. The pack looks to include a Funkiki Native, Jerry Pearl, the Pineapple King, and Sol. Images of these first showed up after the NY Toy Fair, which you can see here. You can check now if they are in stock yet by clicking here. Windows 7 64 bit Driver On The Way?